Join Diego Rotman (artist-in-residence and visiting professor, Queen’s University) of the Sala-manca group to discover the incredible stories behind their work and collaborative efforts creating two sukkot. A sukkah is a temporary dwelling made with simple materials and commonly used for eating, entertaining, and even sleeping. These structures are built during Sukkot, a seven-day autumnal Jewish celebration, which commemorates the forty years of travel through the wilderness after the exodus from Egypt. The artists use the tradition-rich structure to bring forth contemplations on temporality and exile, proposing a contemporary reading of the sukkah both as a concrete object and as a symbol with their works. The first, The Eternal Sukkah (2014), a formerly-“illegal” building made of construction waste purchased from the exiled Jahalin Bedouin community, was rebuilt and sold to the Israel Museum as a piece of high art. 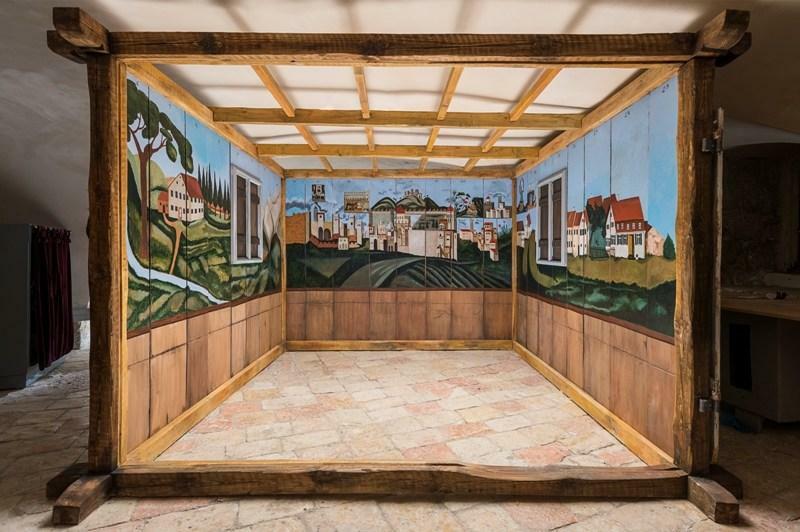 The other, The Deller Sukkah (2017), an unauthorized, meticulous replica of a painted wooden sukkah from Germany, was smuggled to British Mandate Palestine at the outbreak of WWII, and recreated in the basement of Jerusalem’s former leper colony. The stories of the Bedouin/Jewish “Eternal Sukkah” and the metaphorical and historical composite that is the “Deller Sukkah” explore a dialogue between the dichotomies of nomadism and ownership; between enforced transience and transience as a religious value; between absentee landscapes and present ones; and between individual artistic endeavours of different historical periods, each of which, in its own way, exemplifies the drama of its time. This presentation will be in English and is co-presented with Concordia’s Curating and Public Scholarship Lab, the Goethe-Institut Montreal, McGill – ICAN, and Mamuta Art and Research Center (Jerusalem).